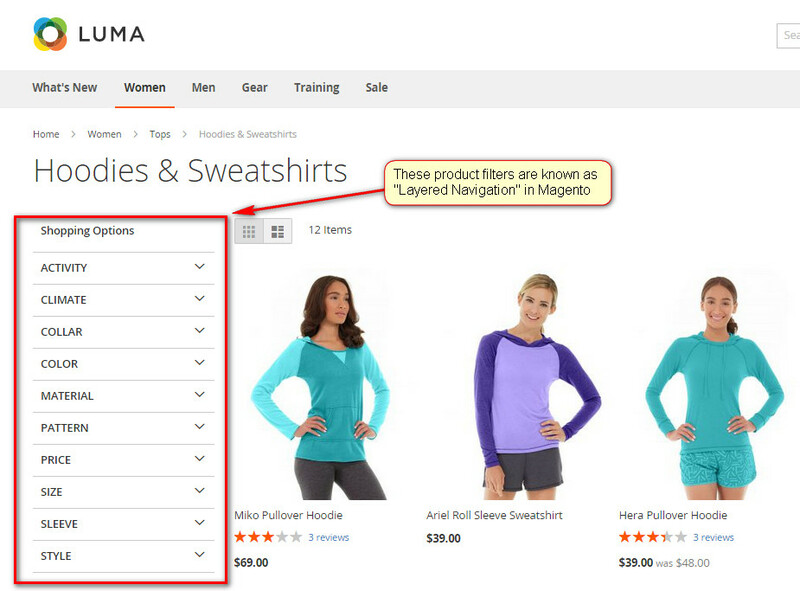 Above is Layered Navigation view on Magento 2 Luma theme in "Hoodies & Sweatshirts" category page. 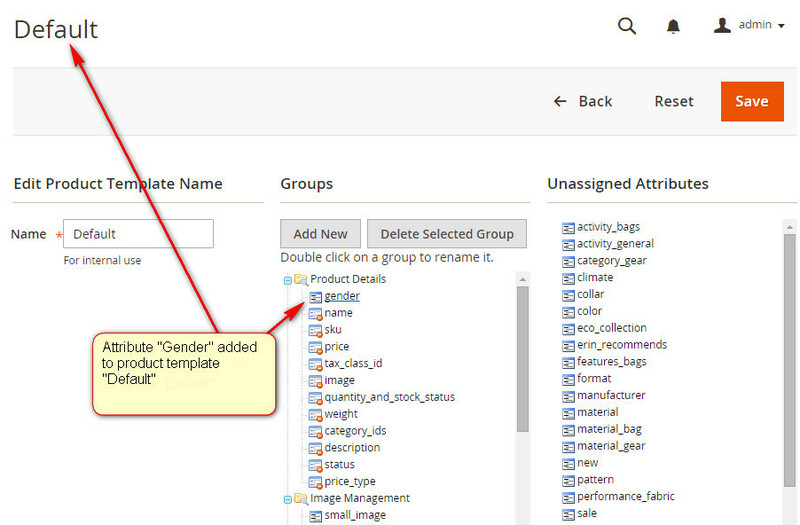 If there is no product in category with Color attribute assigned, Color filter will not be shown at all (with Filterable (no results) setting it still be be displayed if Color filter is in product template of any product of that category). At last it is important to decide how many attributes to create. 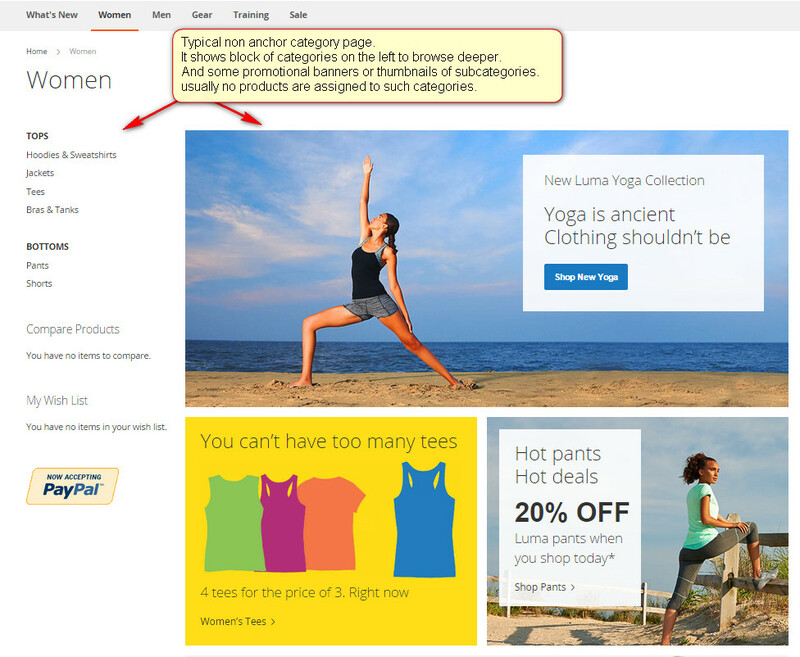 Categories in Magento 2 can be anchor and non anchor (set to Is Anchor = Yes in category management or not). For layered navigation, based on attributes, to work in Magento it is mandatory to set category and all its subcategories Is Anchor to Yes. 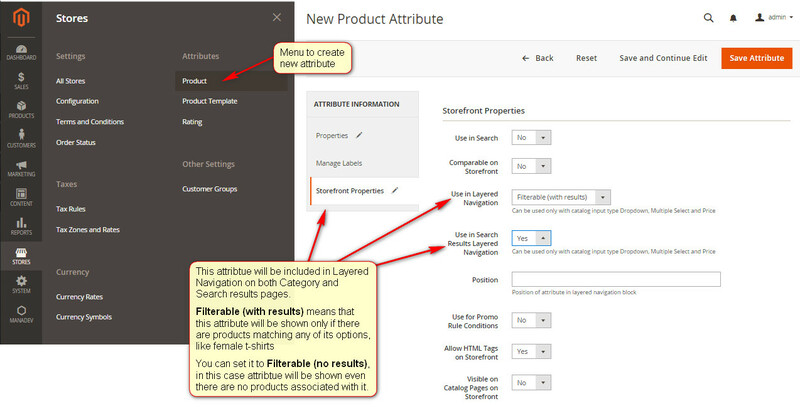 Above: To make category Anchor in Magento 2 admin panel select Products->Categories menu, select some category and open Display settings tab. Create product based on this product template and fill. Let it be t-shirt. And set value for attribute Gender to Female.